In the summer of 1962, the Soviet Union deployed nuclear missiles to Cuba. The Soviets believed that the United States would not detect the missiles until it was too late to take action. 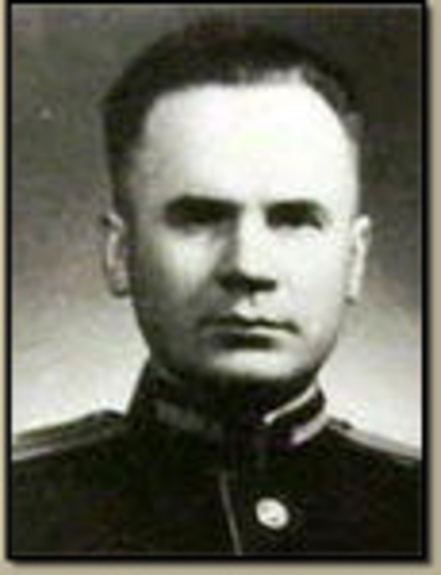 Penkovsky provided detailed plans and descriptions of the launch sites in Cuba. Without this information, it would have been very difficult to identify which missiles were at the launch sites and track their operational readiness. During the Cuban Missile Crisis, Penkovsky’s information gave the Kennedy Administration technical insights about the Soviet nuclear missiles deployed to Cuba that assisted in the pursuit of an eventual diplomatic solution. Because of Penkovksy, Kennedy knew that he had three days before the Soviet missiles were fully functional to negotiate a diplomatic solution. For this reason, Penkovsky is credited with altering the course of the Cold War. I asked a friend who I’m pretty sure has done significant national security-type work to nominate someone to be honored as part of the Brandenburg 300 Project. 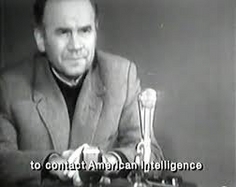 He immediately nominated Oleg Penkovsky because he had stopped an imminent shooting nuclear war between the United States and the Soviet Union. I had never heard of him, but learned that during the Cuban Missile Crisis in the early 1960’s, President Kennedy had reason to believe the nuclear missiles installed in Cuba, and pointed at the United States, could be launched at any moment. They were armed and ready to go. President Kennedy’s hand was hovering over a button, that if pushed would have altered history irrevocably, with millions of people dead, and vast areas of radioactive wasteland. 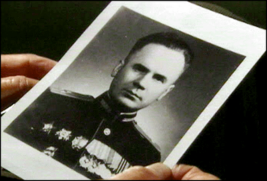 Oleg Penkovsky, a Russian General, sacrificed his and his families lives to get the information to the President that the fueling and guidance systems for the missiles would not be operational for three days, and that a diplomatic solution was possible. Kennedy acted on this information and the closest the world has come to a major nuclear war was averted. 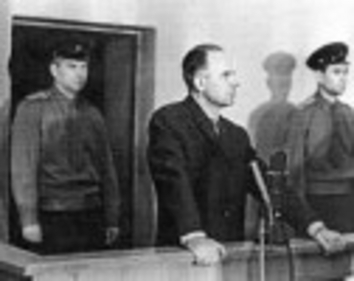 Oleg Penkovsky was caught by Soviet Agents and executed. I can only imagine the price his family paid. I can only imagine the feelings he must have had. I think he must have known he was going to get caught, and that he and his family would be sacrifices in the cause of peace. I don’t know anything about the secret parts of law enforcement or national defense. I’ve never applied for or held a security clearance. Friends who I’m pretty sure – but don’t know –have done secret-type work tell me that films and news reports don’t tell the real story, and I believe them. What I do know is that the people I’ve personally met are good people and real public servants, and they have all made huge sacrifices to do their job. The big sacrifice I personally see is they can never come home after work and share the daily triumphs or difficulties with their families, loved ones and friends. They have to use a filter none of the rest of us do before they talk, and when they are listening. Sometimes this has taken a tremendous toll on their families, and I think that is a real sacrifice, a real price they are paying to help protect me and my family. Right now in the news, as often happens, there is a swirl of publicity about alleged abuses of authority and discretion by various agencies. I don’t know the right and wrong of all of that – I feel like I just don’t have enough information to make any kind of judgment. What I do know is that the people I’ve met are patriots doing their work for the right reasons, and I believe we are safer because of it.